Let’s all stick to our own knitting! I’m about to insult lawyers. The rest of you – you needn’t cheer quite so raucously. I only choose to use lawyers as an example of a highly trained group of professionals, skilled and experienced in what they do and good at their multi-faceted jobs, but because of that, think that they can self-handle other aspects of their business where different specialist skills and experience are required. I could have chosen accountants, or doctors, or engineers (there, some of you are not so comfortable now are you?). One of my clients is a firm of commercial lawyers specialising in insolvency. In their business they run the constant risk that their clients cannot pay. To give them their due they always perform at their best and never stint on service, despite this possibility, but now and then, they get caught. In one such instance they worked for an owner of advertising billboards scattered around the suburbs. Having satisfactorily won the case for their client they found that the client is cash strapped and unable to pay them, asking for a payment plan over a year or so. Clearly not a good situation. The senior partner, true to the entrepreneurial spirit of the firm then negotiated a contra arrangement where they get to use two billboards and paste up advertising for the law firm over a year. 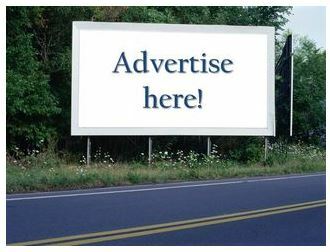 In this way a $20,000 doubtful debt is used to gain $40,000 worth of billboard advertising – quite an advantage? The answer is less optimistic. Their target is shaky or failing businesses as well as other commercial clients but this has no correlation to the two sites and these targets are not the type likely to pay attention to billboards. As well the firm did not track where new clients came from so had no way of measuring the effective ROI of those billboards. So, for a lost fee of $20,000 they received a contra of services worth $40,000 but which was probably actually worth nothing to them. Perhaps they should have opted for the 12 month repayment plan. My final question seals it “if you have a marketing plan (they didn’t) does it (a) include advertising on billboards (b) in those particular suburbs?” The answer wasn’t “no”, it was worse, it was “don’t know”. If I were about to sign a $40,000 contract I wouldn’t just study the contract carefully; I would give it to my lawyer and ask her to study it carefully! Why would any lawyer, expert as he might be in commercial law and general commerce book an advertising contract without consulting a marketing practitioner? 2. Making money sometimes involves spending money wisely. What do you think? Do you do everything for yourself? Why?